Beach Holiday Houses in Apollo Bay, Kennett River and Wye River. Kennett River is a small seaside town and perfect should you want to experience a pristine rainforest environment, enjoy scenic coastal views, deserted sandy beaches, swim, fish or surf. The historic hamlet of Wye River is perfect for bush walking, mountain biking, fishing. 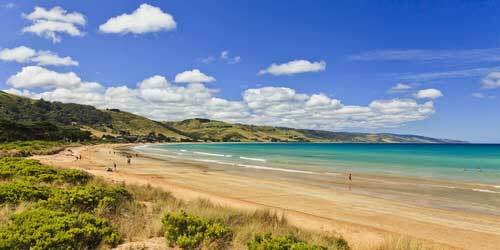 The coastal town of Apollo Bay is your perfect base for exploring the Great Ocean Road. Surf and swimming beaches, sailing, walking trails, scenic lookouts and scenic drives. Discover The Great Ocean Road! Take a break and discover one of Australia's best-loved, natural playgrounds - The Great Ocean Road. One of Australia's great scenic coastline drives, The Great Ocean Road is 243km long and stretches between Torquay and Warrnambool. The road was constructed by 3000 returned servicemen (or "Diggers") as a Memorial for fellow servicemen who had been killed in the First World War. Ideal places to stay if you want to visit the spectacular Otway Ranges, 12 Apostles, London Bridge and the Loch Ard Gorge or if you just want a break from it all. Private self contained luxury beach accommodation along the world renowned Great Ocean Road at Apollo Bay, Wye River, Separation Creek and Kennett River. All ideal places to stay if you want to visit the 12 Apostles or if you just want a break from it all. 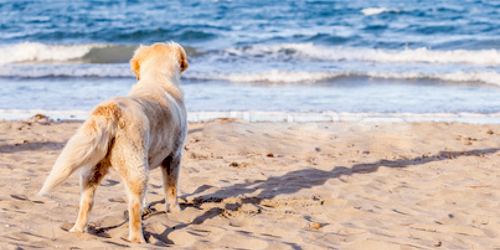 Great Ocean Road Getaways (GORG) offers an extensive range of lodge and cottage accommodation simply perfect for couples, families, friends and even your favourite pet. Whether you are looking for an overnight stay, weekend or weekly accommodation, GORG has a range of properties to suit most tastes and budgets. Offering fresh linen and towels, wood fires and easy access to endless beaches. Unwind, Relax and Escape from it all! Whether you need to rejuvenate your mind and body or simply feel like a relaxing break, time spent in this unspoilt, environment will leave you with a renewed sense of wellbeing. Imagine miles of sparkling secluded beaches, kilometres of awe inspiring coastline, peaceful star-filled night skies and the pristine forests of the Otway Ranges - all on your doorstep. Why not take the whole family on a fun-filled holiday to the Great Ocean Road? Plan the perfect getaway that has something for everyone in the family. Whether you want to immerse yourselves in nature or Australian history, relax or get active, you'll all find something without breaking the budget. There are long sandy beaches, rainforest-clad National Parks, scenic lookouts and waterfalls to discover. The Great Ocean Road is simply perfect for a great family getaway.